The museum is owned and operated by a nonprofit corporation, the St. Paul Area Chamber of Commerce. 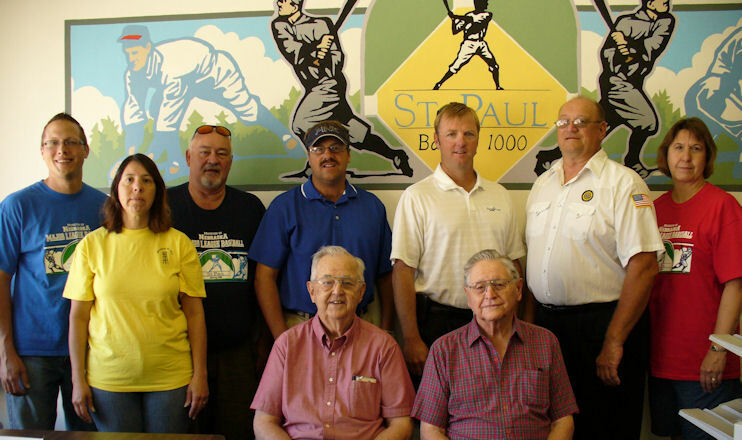 The Baseball Museum Committee was created in 1999 as a subcommittee of the St. Paul Area Chamber of Commerce. Inquires can be made to or information mailed to the Museum of Nebraska Major League Baseball, 619 Howard Avenue, St. Paul, NE 68873-2022, phone (308)754-5558. Collecting, through donation, baseball artifacts, works of art, literature, photographs, memorabilia and related materials which focus on the careers of players, managers, coaches and media personalities. Preserving the collections by adhering to professional. museum standards with respect to conservation and maintaining a permanent record of holdings through documentation, study, research, cataloging and publication. Exhibiting material in permanent gallery space, organizing on-site changing exhibitions on various themes, working with other individuals or organizations to exhibit loaned material of significance with regard to Nebraskan's in baseball and providing related research facilities. Honoring, by enshrinement, those individuals who had exceptional careers, and recognizing others for their significant achievements. The museum accepts information and artifacts both as items of loan and as donations. Individuals making a loan or donation are required to sign a a loan or donation contract which specifies terms and responsibilities the all parties. Credible sources of major league baseball statistics have been used to accumulate the lists and statistical information. Information presented is not purported to be complete. People who have statistics in the resources reviewed by the committee are those who have been included. Should there be someone who has made achievements in baseball, specifically pertaining to the majors whose accomplishments have not yet been recognized in the museum, the committee will review the information it is presented with at least annually and decide who if anyone should be included.